Cellulosic ethanol production is experiencing a small-scale but meaningful growth spurt due to high-tech advances. However, companies embracing these new techniques need some bureaucratic hurdles lowered in order to truly capitalize on opportunities. In this guest blog from Paul Winters of the Biotechnology Innovation Organization find out more about the newest projects and what some experts say needs to happen next. New technology is enabling ethanol biorefineries to generate cellulosic ethanol from existing corn feedstocks. The new corn fiber cellulosic ethanol pathways employ combinations of milling, pretreatment, hydrolyzation and fermentation technologies. They generally differ in how they separate the cellulose and hemicellulose from the kernel (since the pericarp contains some starch), and how they measure the amount of cellulosic ethanol produced. The new processes hydrolyze and ferment the cellulose and hemicellulose, along with additional starch, in the corn kernel’s pericarp. While the pericarp’s fiber makes up 8 to 10 percent of the corn kernel’s weight, it is usually not broken down in the starch ethanol production process. Traditionally, biorefineries have either separated the fiber as bran or left it in distiller’s grains sold for animal feed. For OPIS news updates on ethanol-market advancements, please click here. In July 2014, EPA published an initial rule for the Renewable Fuel Standard program opening up these new technologies for cellulosic ethanol production. The rule classified corn kernel fiber as a crop residue and approved pathway petitions for producing cellulosic ethanol and generating D3 RINs. With the rule in place, companies began bringing new technologies to the market; several have now reached the commercial stage. Edeniq’s combination of technologies work within existing corn ethanol processes to increase overall ethanol yield up to 7 percent and generate measureable cellulosic ethanol gallons, up to 2.5 percent of a plant’s overall production. Several of Edeniq’s partners – Pacific Ethanol Stockton, Little Sioux Corn Processor, Flint Hills Shell Rock, and Siouxland Energy & Livestock – are already generating cellulosic ethanol RINs. POET biorefineries have been using a fractionation process for more than a decade to separate protein, fiber and oil from the corn kernel. The additional starch and cellulose in the fiber are already being converted to ethanol. DuPont offers enzymes that hydrolyze corn kernel fibers within different production and pretreatment processes, yielding 6-10 percent more ethanol and 30-40 percent more corn oil. Novozymes also offers enzymes that degrade corn kernel fiber, increasing starch ethanol production by 2 percent and yielding additional corn oil. 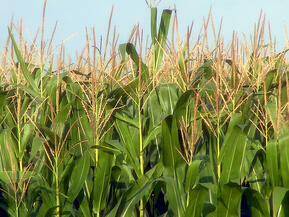 Other processes convert corn kernel fiber to ethanol in a separate, bolt-on process. For instance, Quad County Corn Processors in partnership with Syngenta’s Enogen has deployed a combination of technologies that increase ethanol production by 14 percent overall, with a 6 percent yield of cellulosic ethanol. The Cellerate Process used by QCCP reprocesses stillage from the starch ethanol process to extract and ferment more sugars. Similarly, D3Max reprocesses the stillage from a corn ethanol plant to recover additional sugars, ethanol and co-products. D3Max piloted the process at ACE Ethanol in Stanley, Wisconsin – projecting a 10 percent increase in ethanol production – and is now deploying it there at commercial-scale. ICM’s technology combination also separates corn fiber into its own process stream, generating 7-10 percent cellulosic ethanol. ICM intends to build a new biorefinery in Colwich, Kansas, as the next stage in commercializing the technology. Producers generated a little more than 4.3 million gallons of cellulosic ethanol in the first seven months of 2017, already surpassing the volume produced in 2016. Several ethanol producers are in the process of registering their facilities with EPA to generate cellulosic ethanol RINs. Several million additional gallons of capacity could be online by the start of 2018. Technology developers are working with EPA to overcome remaining regulatory hurdles. Already, about a third of U.S. ethanol producers have won approval from EPA as efficient producers, deploying technologies that increase starch ethanol as well as oil production from the same corn feedstock. In the very near term, these efficient producers could begin generating cellulosic ethanol from corn kernel fiber, with little additional investment or construction time. What they need most is for EPA to expedite the registration process to generate D3 RINs. As a group, the efficient producer plants have a combined production capacity of more than 5.6 billion gallons of ethanol. In both number of biorefineries and production capacity, they represent more than one-third of the corn ethanol industry. There’s still more capacity to be gained – among the approved efficient producers, only a subset have increased capacity since 2014. With expansion, new milling technologies and improved enzymes, the subset has added 635 million gallons in capacity since 2014, reaching a total of 1.5 billion gallons (out of the total 5.6 billion) in capacity. The addition of cellulase enzymes to these existing efficient producer processes could rapidly increase cellulosic ethanol production by tens of millions of gallons before the end of 2018. If all of the efficient producers deployed corn kernel cellulosic ethanol production technologies, capacity could climb to several hundred million gallons in a few years. All renewable fuel producers are required to register with EPA to generate RINs for the RFS program. EPA’s Efficient Producer Petition Process has reduced average approval times for D6 RIN producers to 30 days. A more efficient process for approving D3 RIN producers could rapidly expand cellulosic ethanol production. The views, opinions and positions expressed within this guest post are those of the author alone and do not represent those of OPIS (Oil Price Information Service). The accuracy, completeness and validity of any statements made within this article are not guaranteed. We accept no liability for any errors, omissions or representations. The copyright of this content belongs to the author and any liability with regards to infringement of intellectual property rights remains with them. React quickly to market-moving biofuels news and stay on top of regulatory changes as they happen with real-time email alerts. Don't miss a single headline in this evolving market.